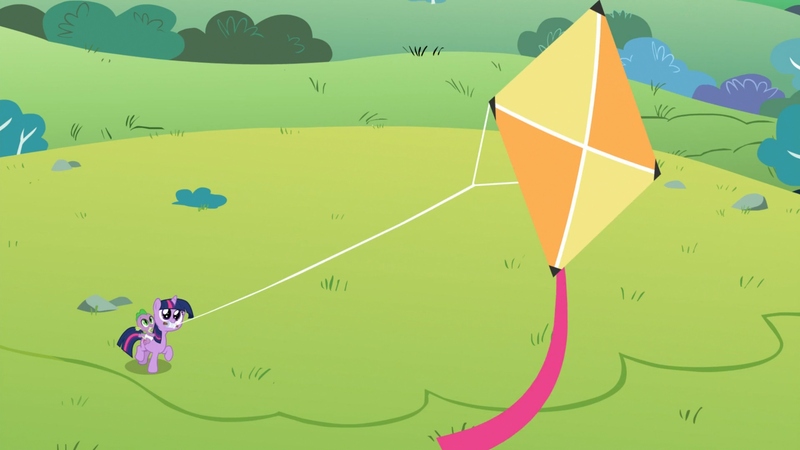 Twilight and Shining Armor pit their wits against each other to settle a long-standing sibling rivalry score -but they soon discover they’re not the only competitors. 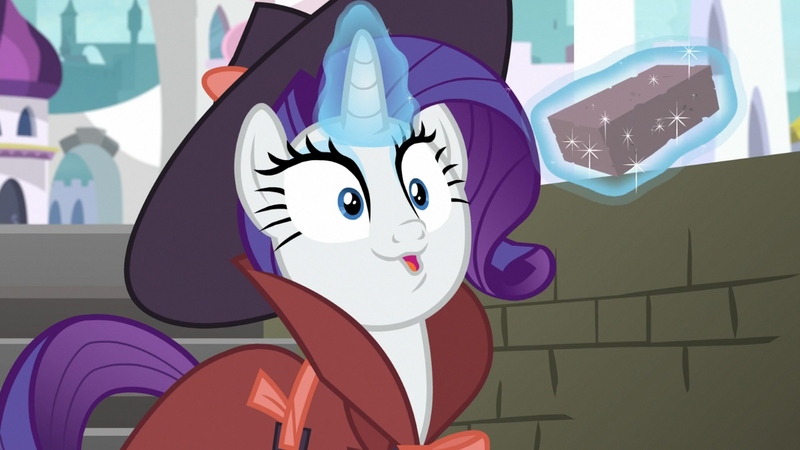 This thread is for discussion of the episode. 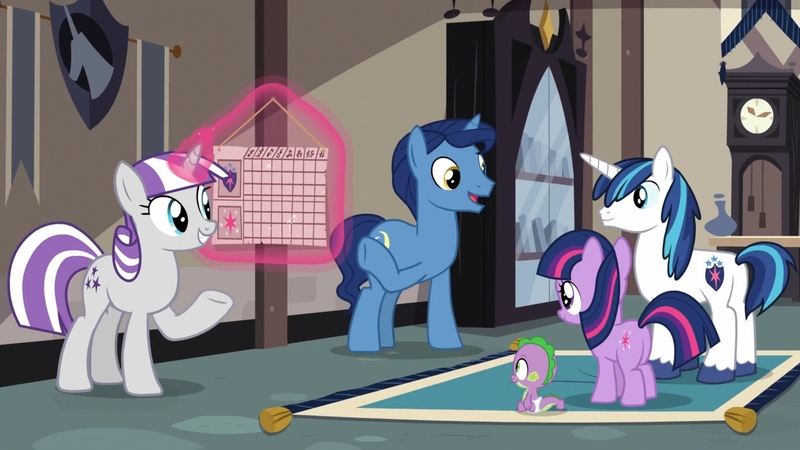 This episode airs at 11:30 Eastern / 8:30 Pacific on Saturday, April 20! 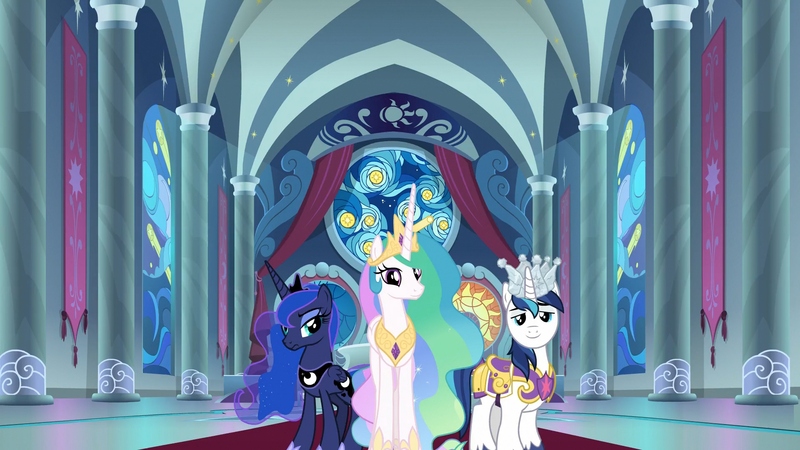 Official preview clips and images are okay to post, as is speculation about the episode. 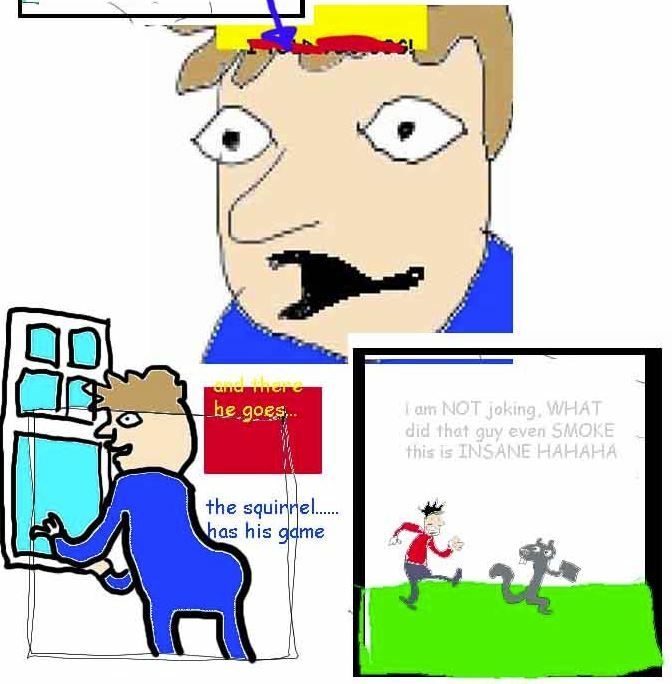 This is the 200th episode of the series! I hope Nichole Oliver shows up in this episode, even if it's a minor role. She's been there since the start too. 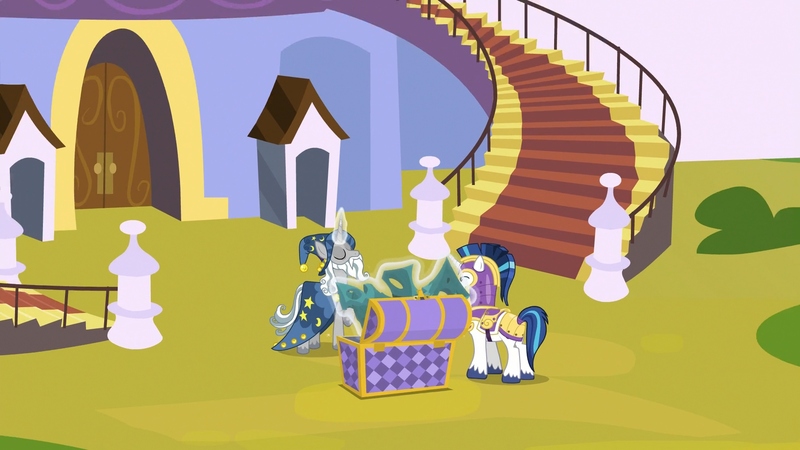 Doesnt have to be Celestia. 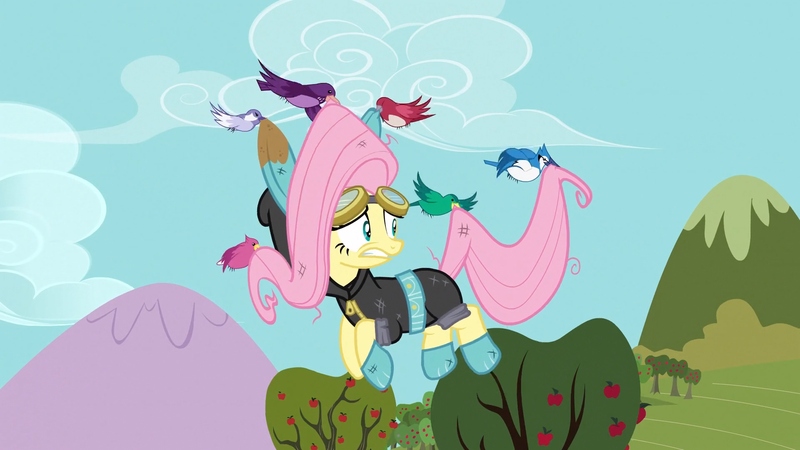 Could be Cheerilee, another character she has voiced, or someone new. 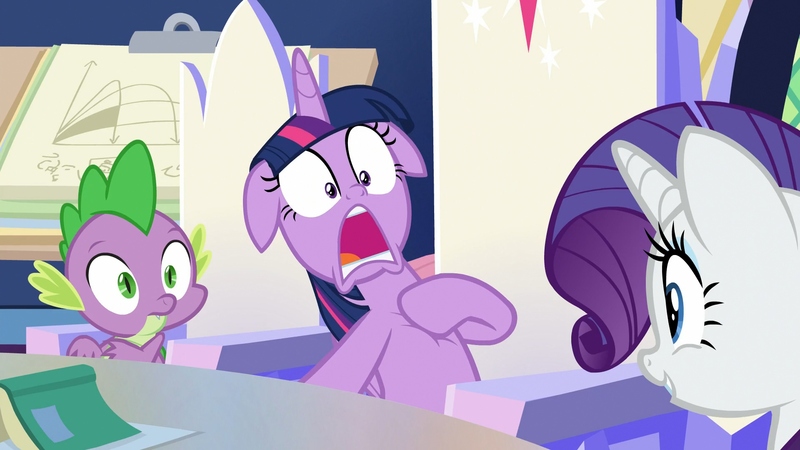 Whaaaat the 200th episode already? It feels like episode 100 just happened. 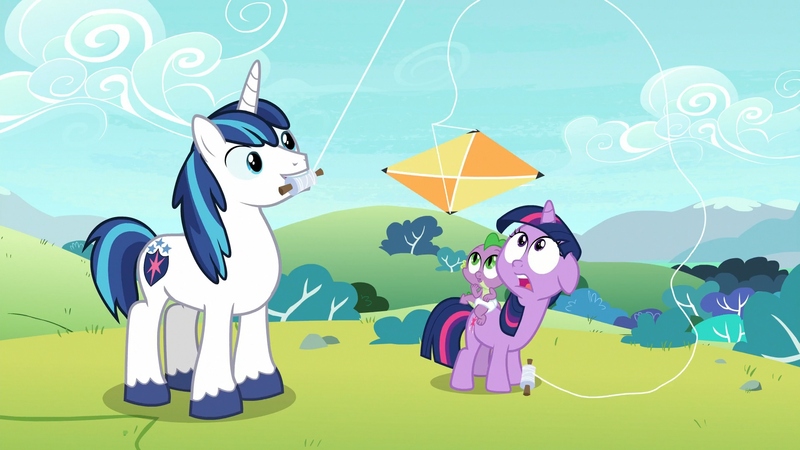 "Slice of Life" aired June 13th, 2015. Fun little interview with some of the cast about tomorrow's episode. I would recommend NOT watching until after the episode airs. 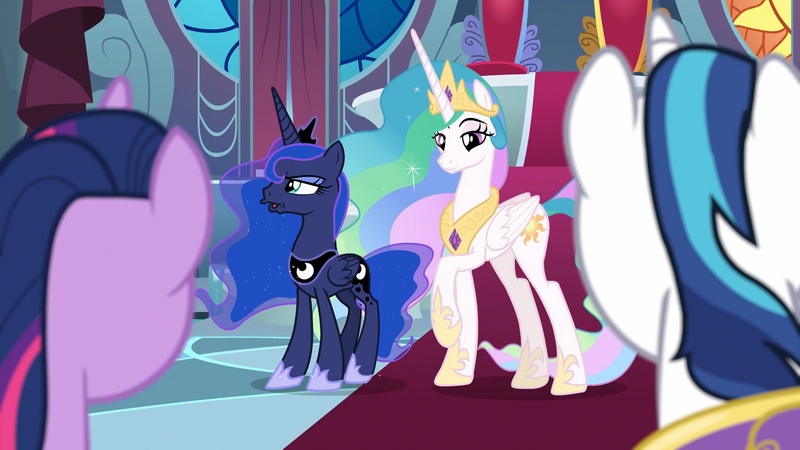 They seem to give away the plot of the entire episode. 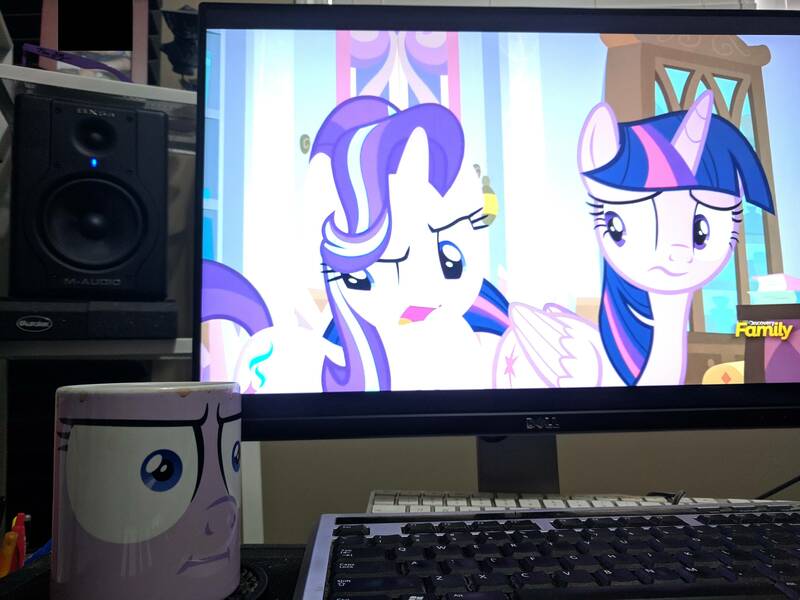 Starlight doesn't approve of my mug. 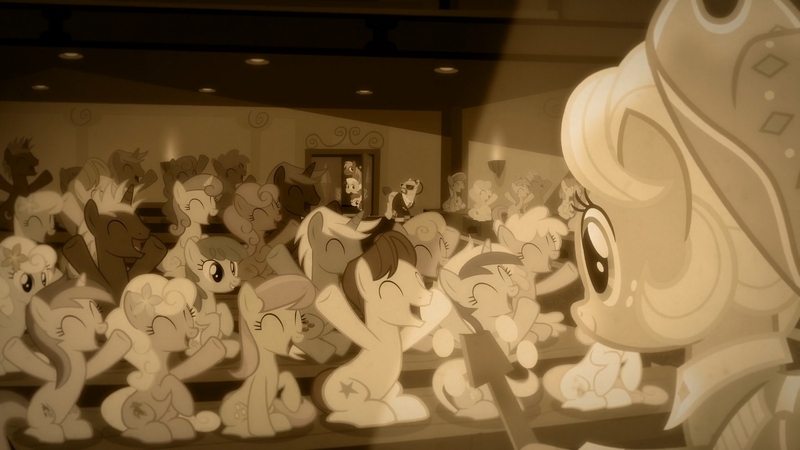 Oh man I adored that episode. 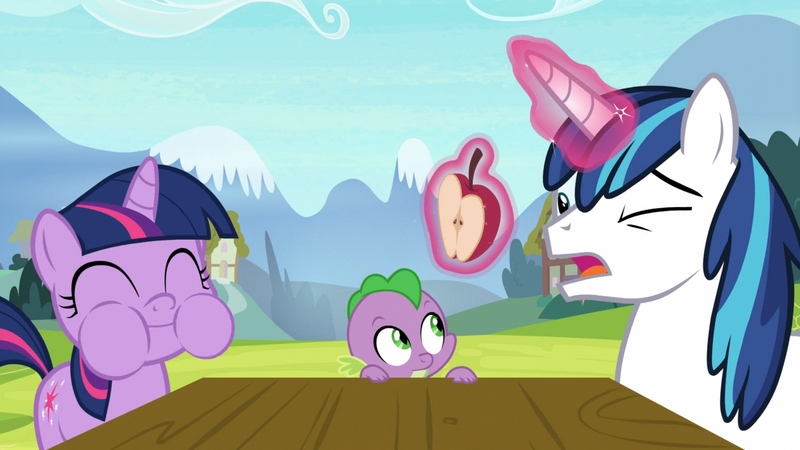 Exactly my favorite kind of slice of life ep. 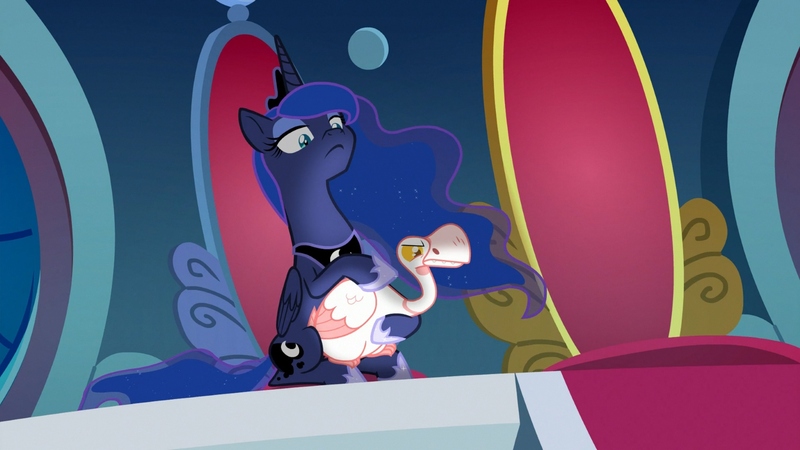 Also I 100% need a gif of Luna in the shadows petting the goose like an evil villain. 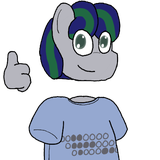 Last edited by PonyHag714 on Sat Apr 20, 2019 12:08 pm, edited 1 time in total. 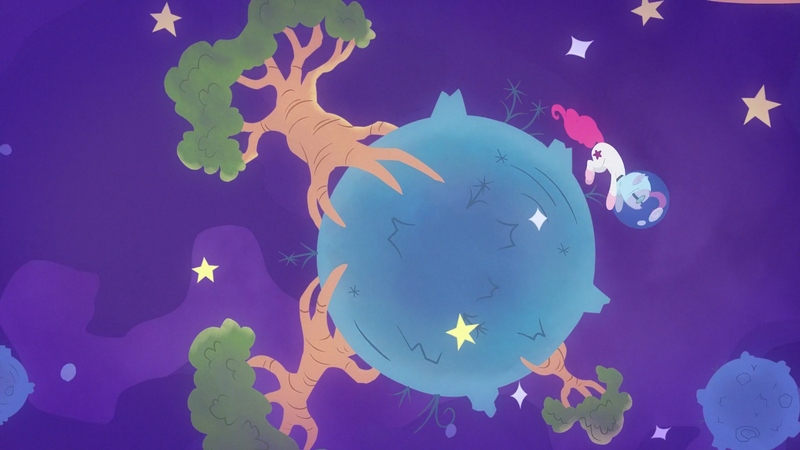 Now, after having seen Pinkie Pie's wild plan, what I really want to know is where the Equestrian space program stands and how far it is from putting a pony on another planet. 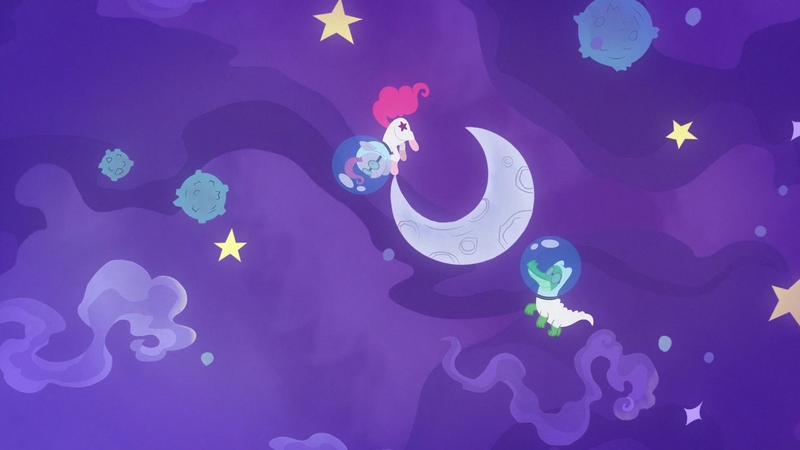 Celestia spearheaded a space program that successfully landed a mare on the Moon. 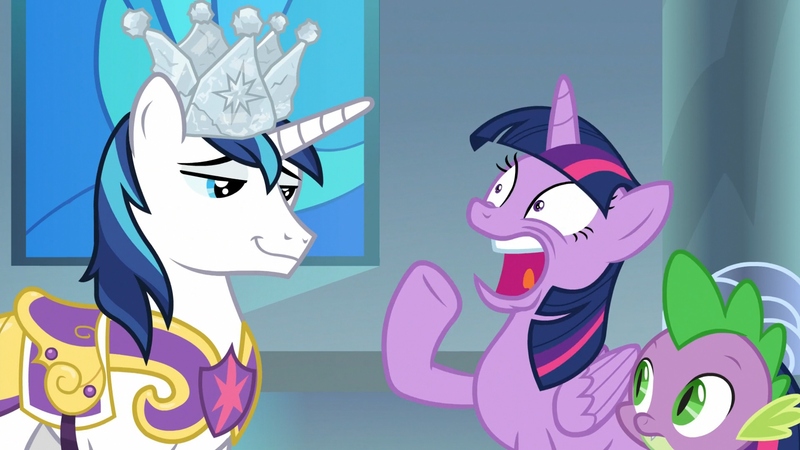 This episode was Face the Facening. Cuz there were some faces in this one. Mostly funny funny faces. 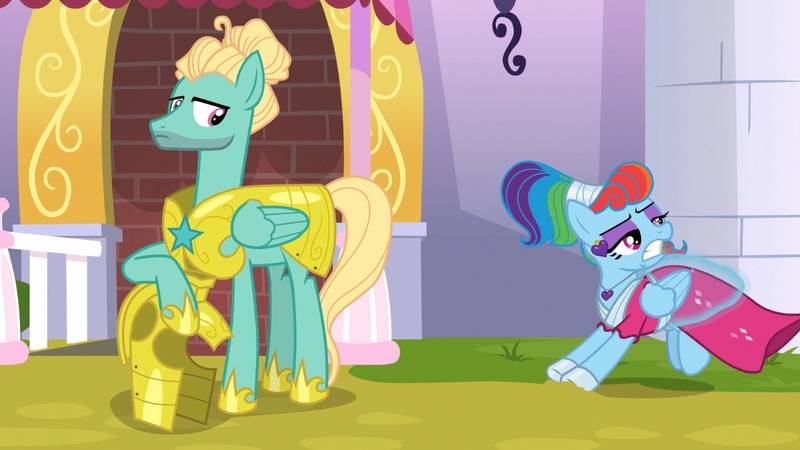 That was indeed a magnificent episode with strong showings from everypony. 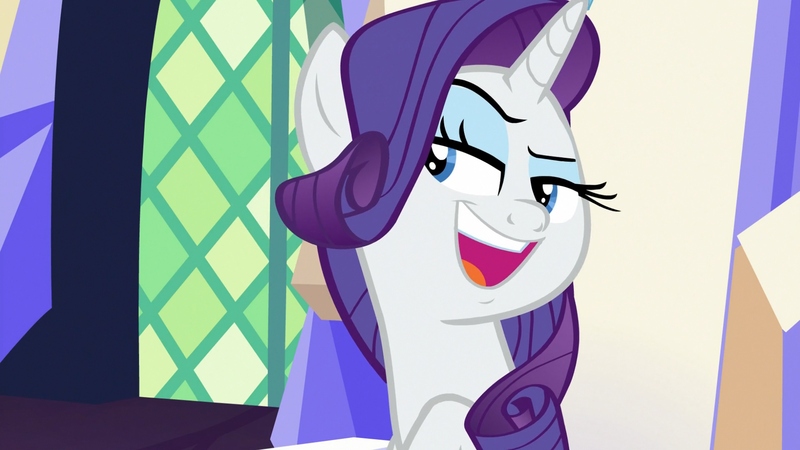 The writers demonstrated that they were both genre and pony savvy, and I couldn't be happier with the result. 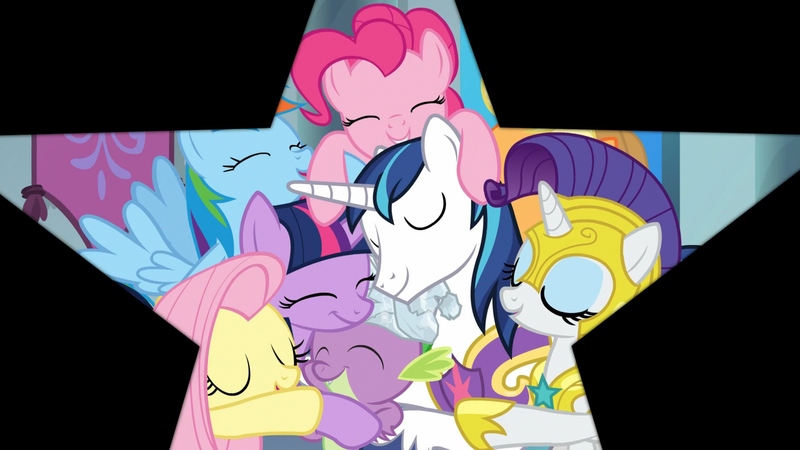 It was not as crazy, or as meta, as episode 100, but choosing not to one up that episode was, I believe, the wiser choice. The Hogwarts-style "No teleporting in or out" zone is at least a good idea. 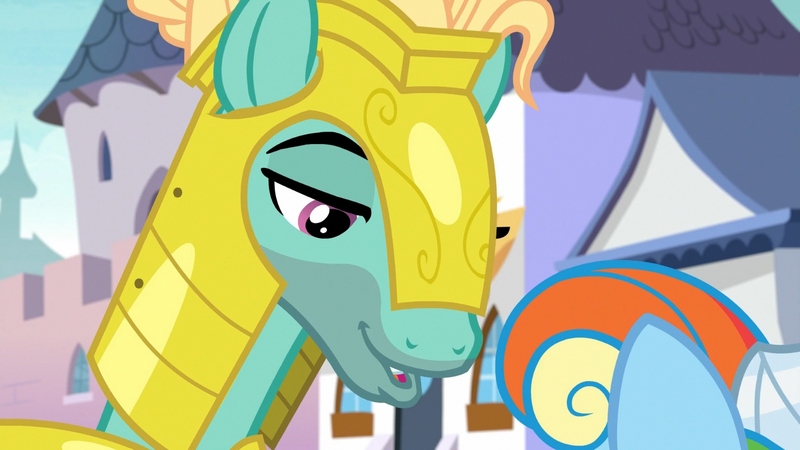 She should be petting Tiberius. 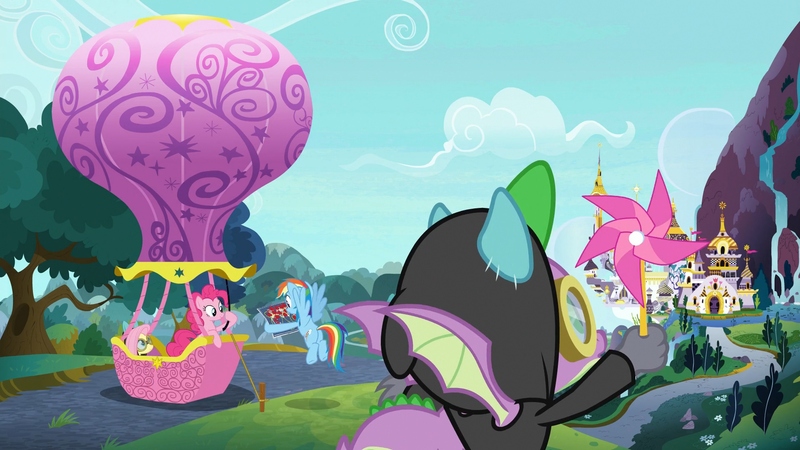 That was a great episode! 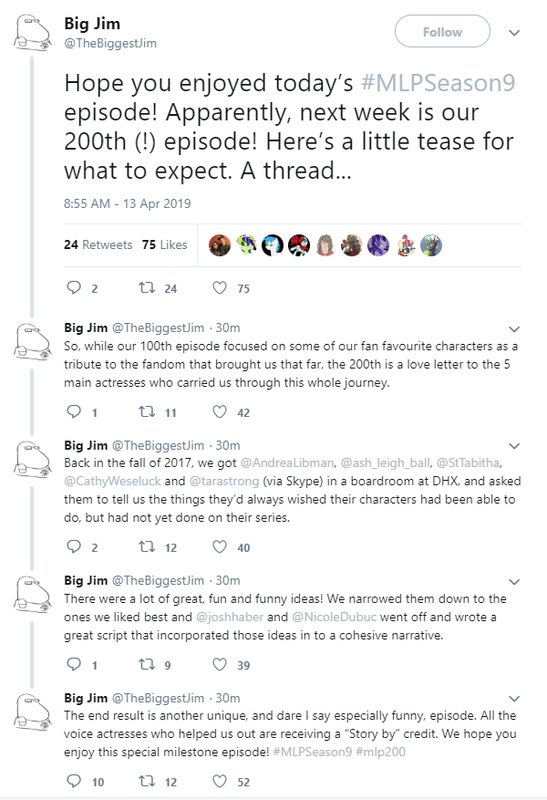 Good milestone story for the 200th episode! 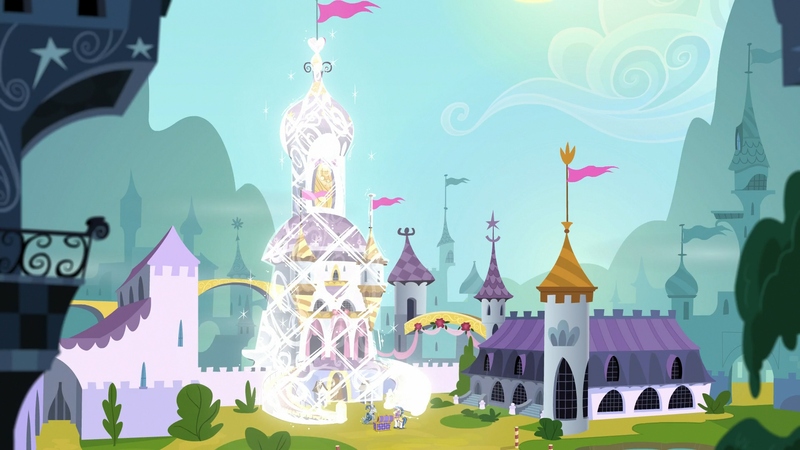 I was reminded of Applejack's plan as we saw it here. 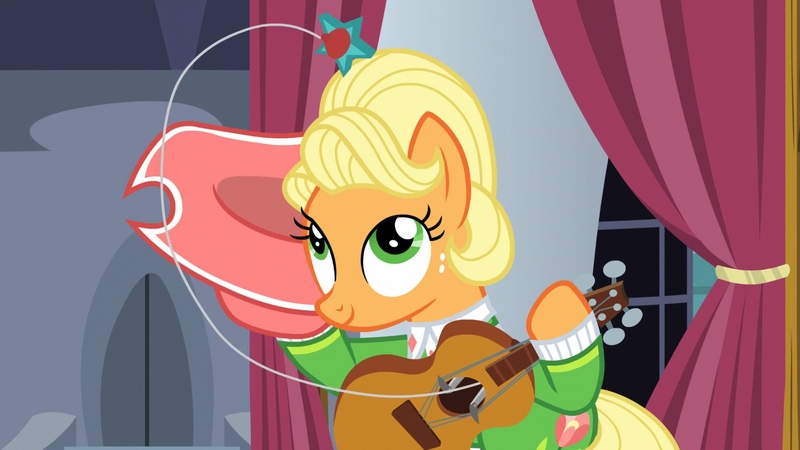 Considering how quickly she thought up her alternate backstory as the country star Apple Core (almost as if it's been running through her head an awfully long time! 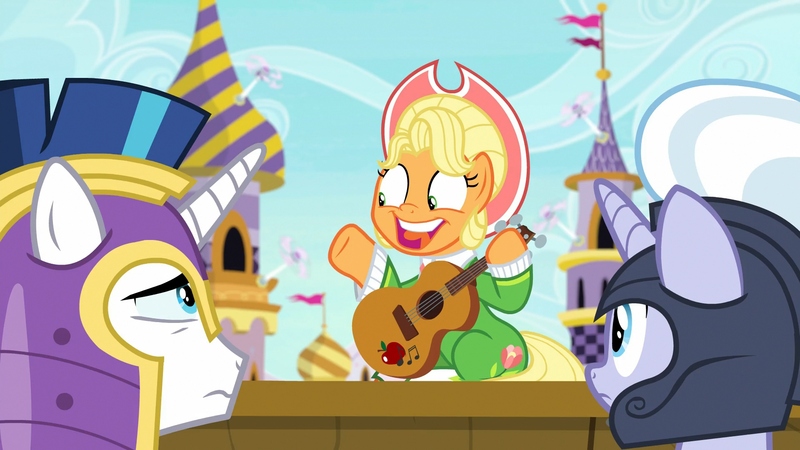 ), it comes off to me as yet another example of how she never really let go of her aspirations towards something higher than running Sweet Apple Acres. 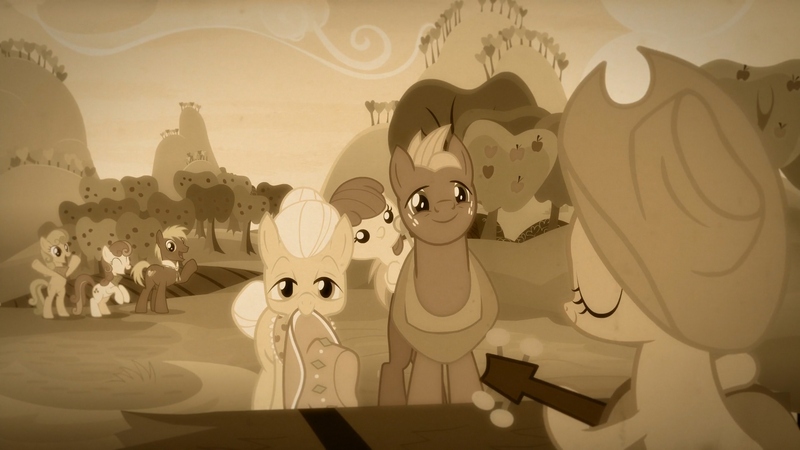 Had it not been for her parents dying when she was young, she may very well have never felt wistful enough to need to go back home from Manehattan. I wonder if it all adds up enough to where she counts as a tragic character. 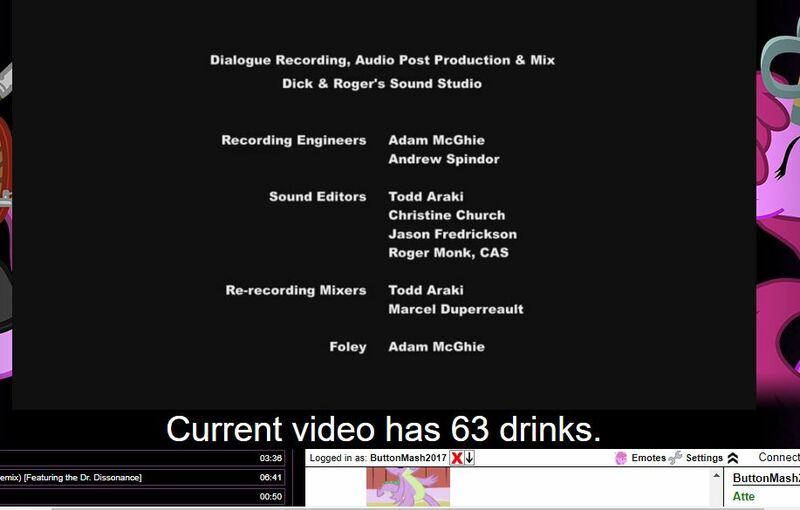 So I guess this settles who was taking care of Spike in the early days. Oh gosh. 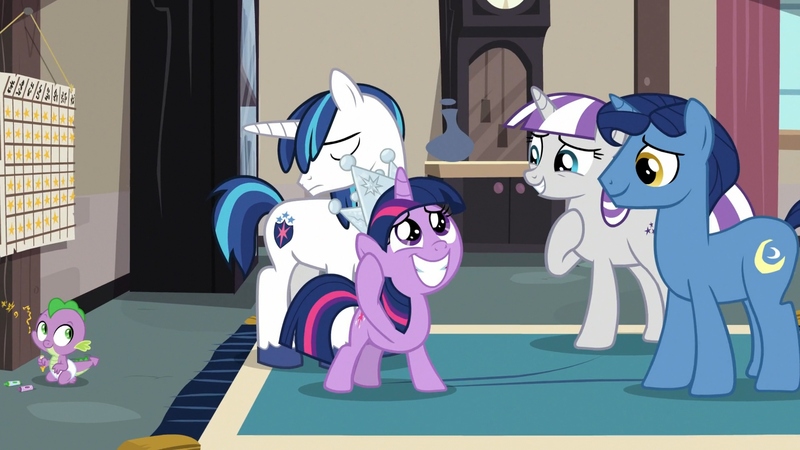 Most adorable moment of the episode. 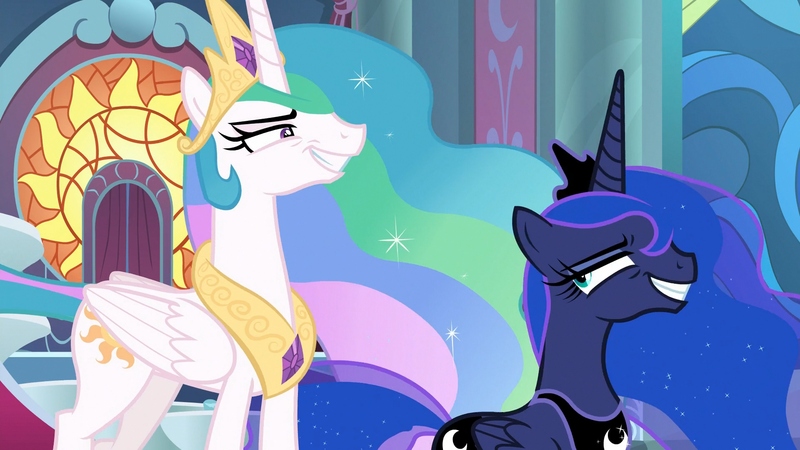 Shining, you're only a prince consort. 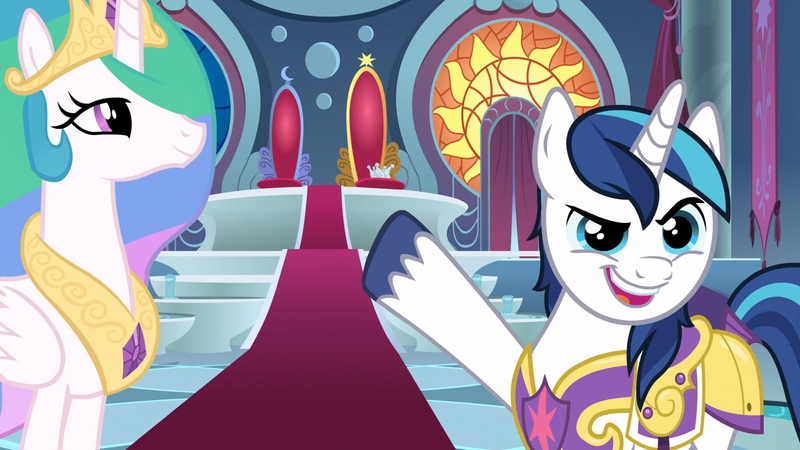 "When they leave, I call dibs on the BIG throne!" 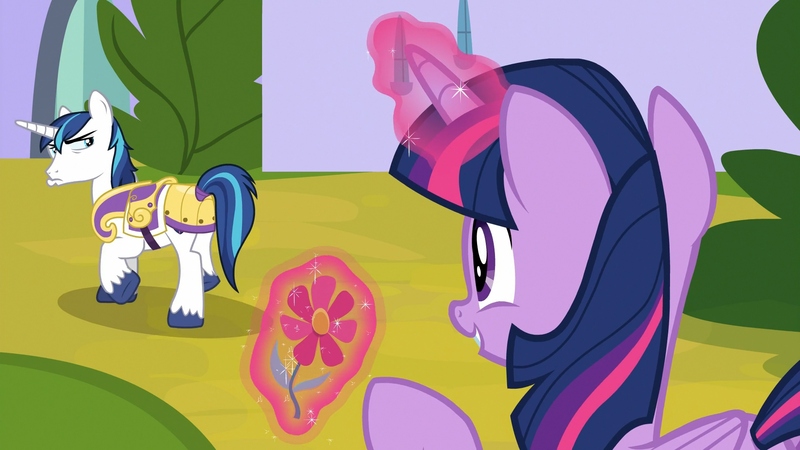 ...how do they lift the anti-magic stones with magic? 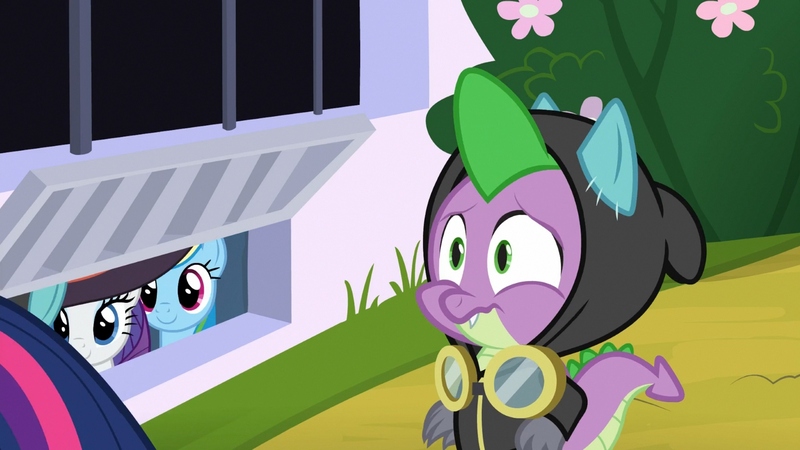 Let's see changelings get past our magic flypaper! Nobody filled out an environmental impact survey for this! 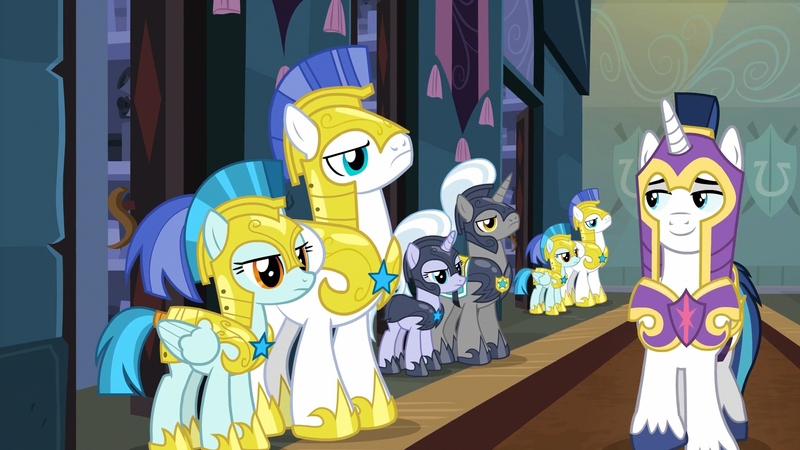 There are a lot of saddles in this episode. 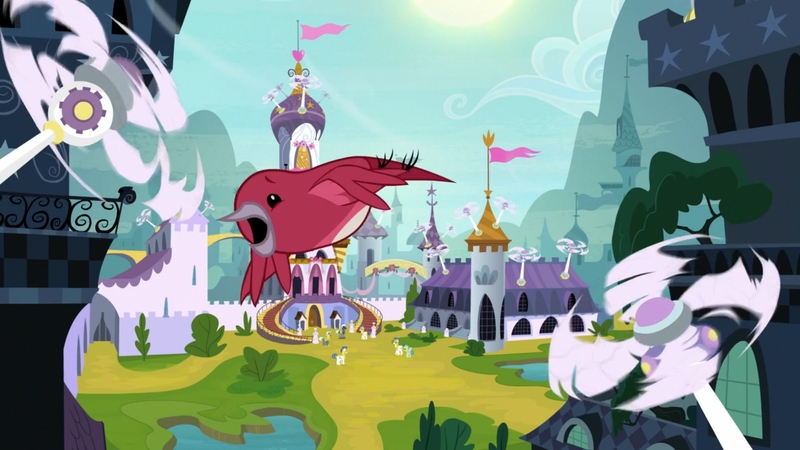 Geese are kinda terrifying in Equestria. They look like turkey vultures to me. 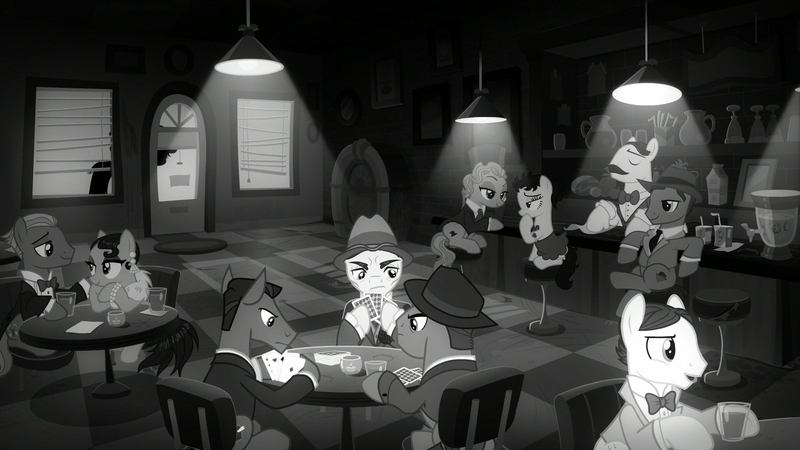 A speakeasy juice bar. I wonder if they serve mangosteen. 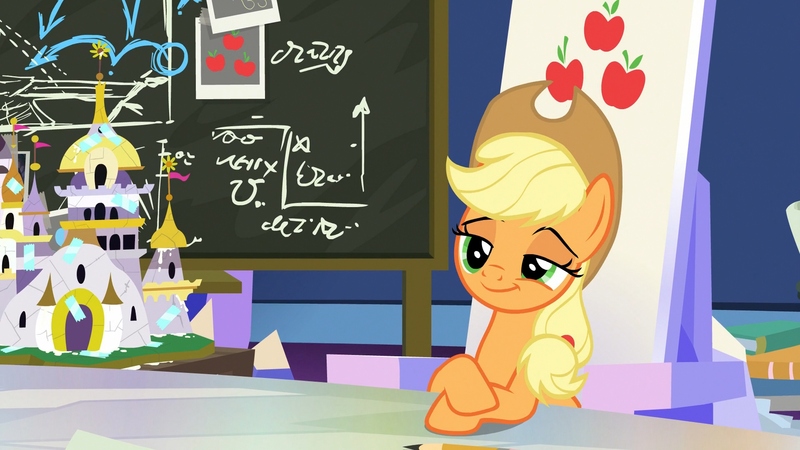 I'm a little concerned about the state of Equestrian education. "99 bottles of cider on the wall, 99 bottles of cider..."
"Sorry, bro, I get to be George Clooney this time!" The one part of the plan that worked. 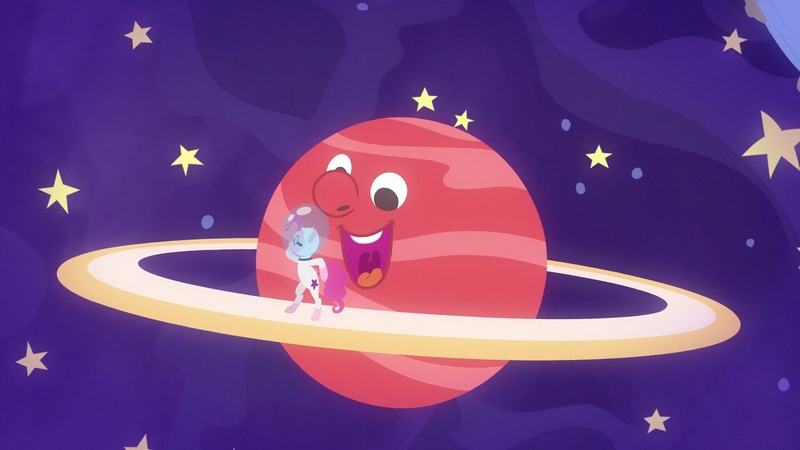 This was a pretty wild bit of animation. 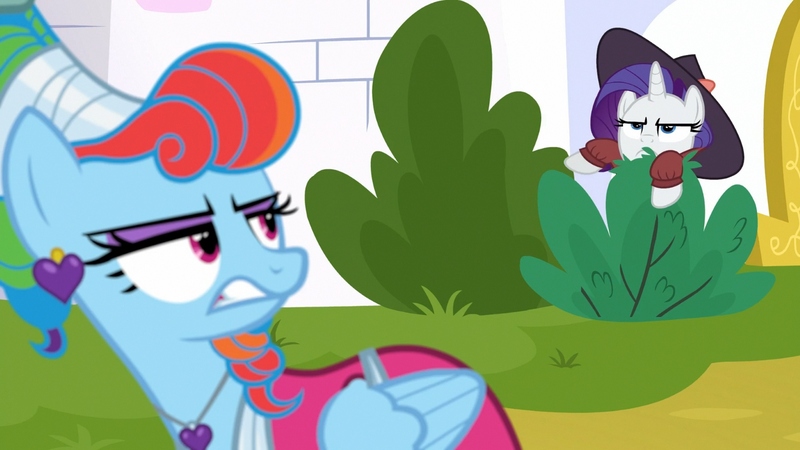 The real MVP: Rarity putting together this entire ensemble instantly, in a bush. 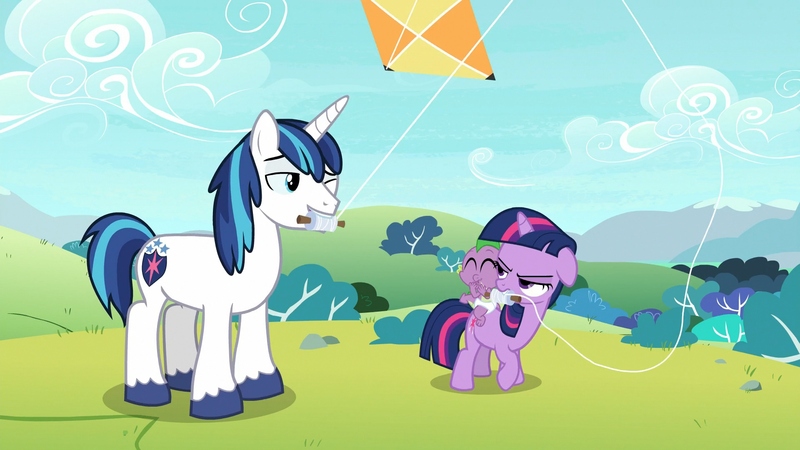 "Come, my little peanut of brittle! Ze corned beef does not run away from ze cabbage!" You can actually pinpoint the second his heart rips in half. 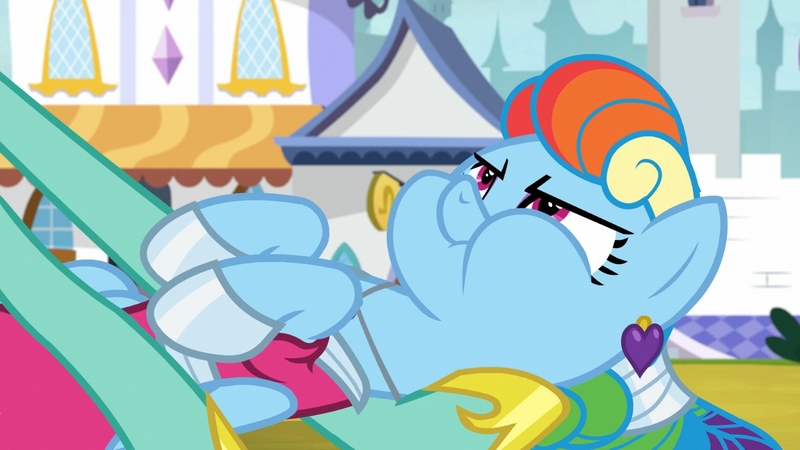 Aaaannnnnd... now. 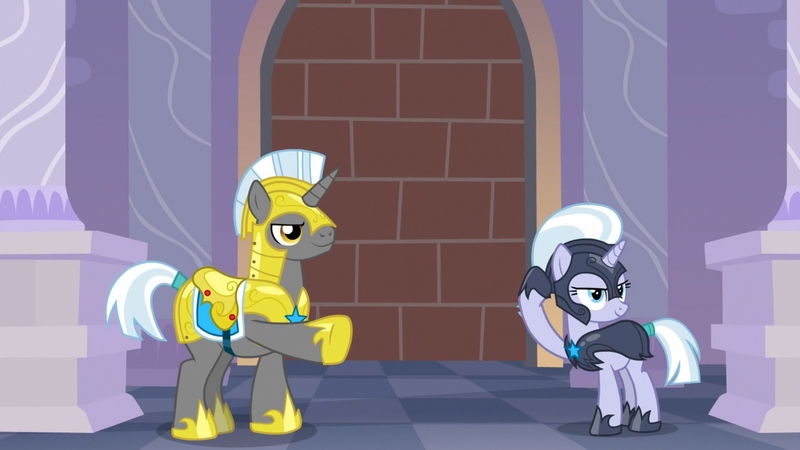 Rarity would make a good guard. Her coat matches the armor. 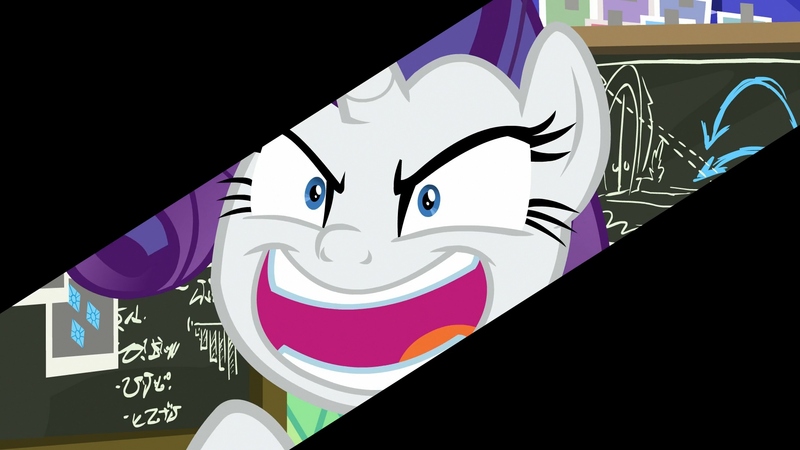 NEVER bet against a Crystallion when BEST KID is on the line! Aaargh! Curse your sudden but inevitable betrayal! 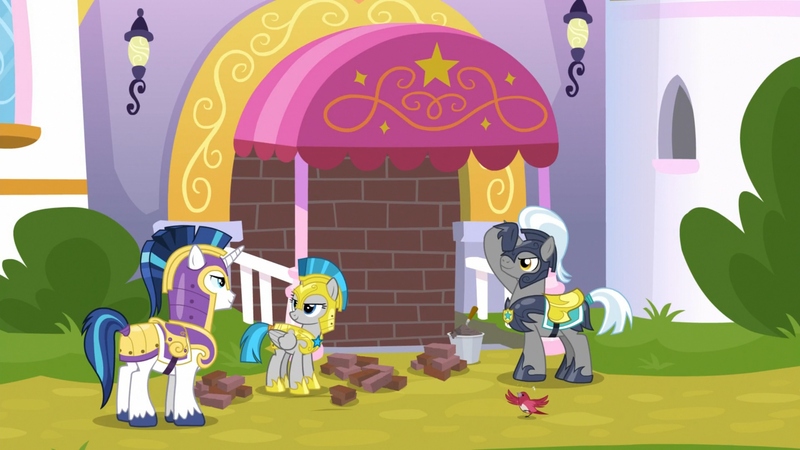 I wonder if the trap door is going to figure into a future villain episode. You say that like real geese are less evil. 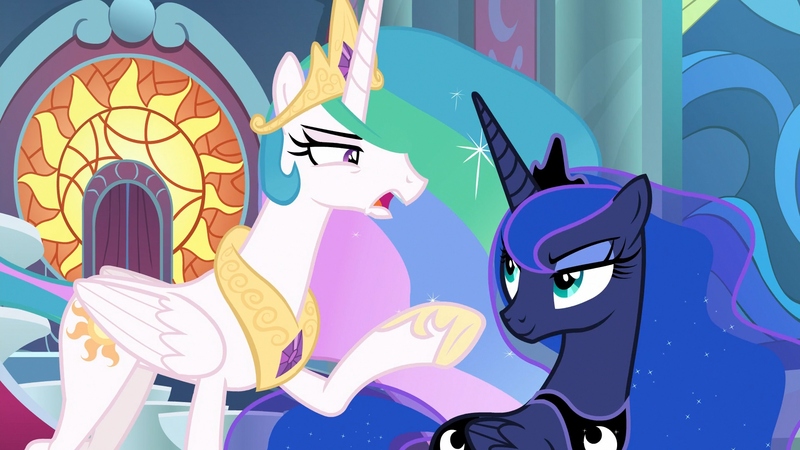 I'm fairly certain that Celestia being amenable to the geese is further evidence that she's just a swan in disguise and is trying to help her fellow waterfowl take over Equestria. I’ve been looking forward to this! But is it any good? That’s what we’re here to find out! 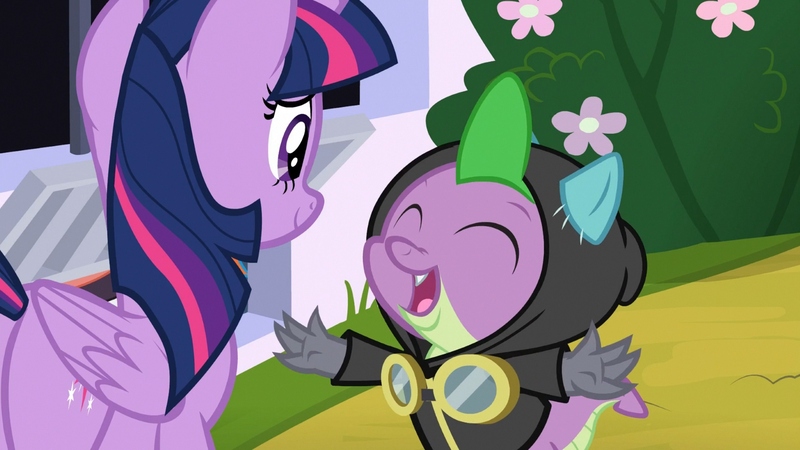 • oh Filly Twilight, how I’ve missed you, and I’d even forgotten I did! 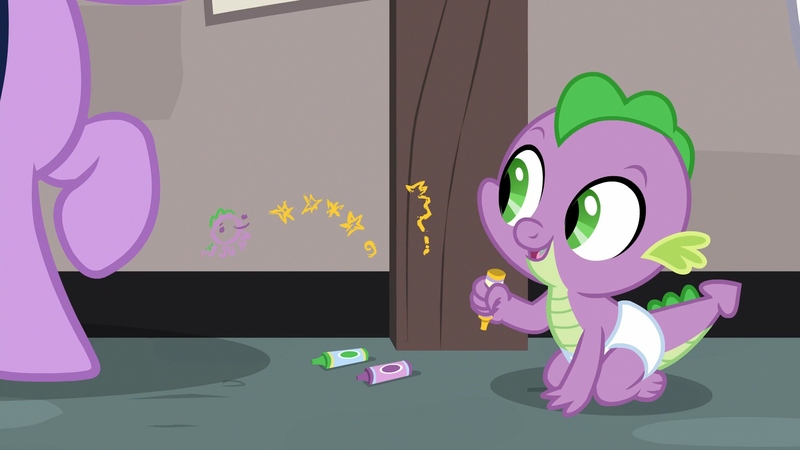 And is this the first time we’ve seen Baby But Not Newborn Spike? 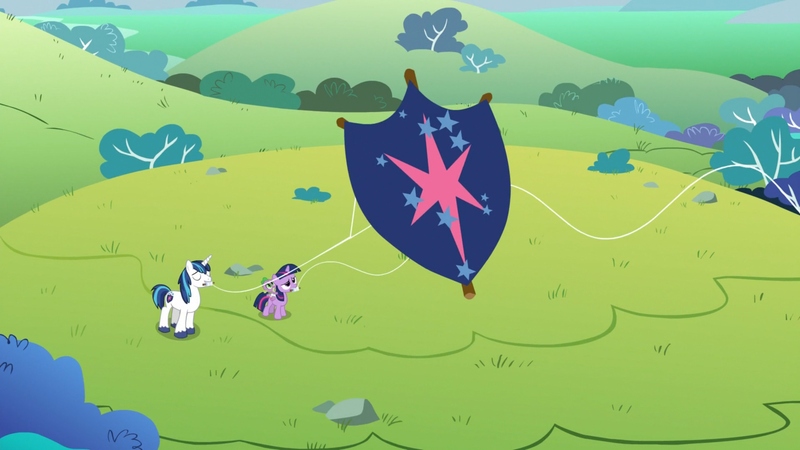 • Shining Armor taught her everything she knows about kites ... but he didn’t teach her everything he knows. 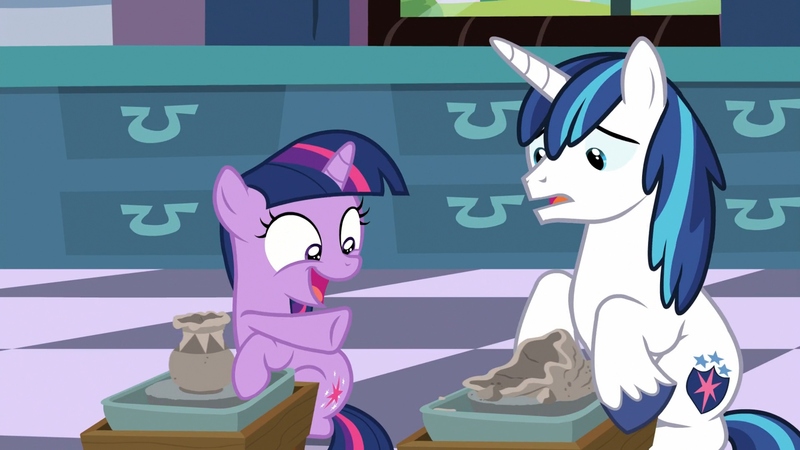 • She had to make clay pots by hoof before learning the amniomorphic spell. 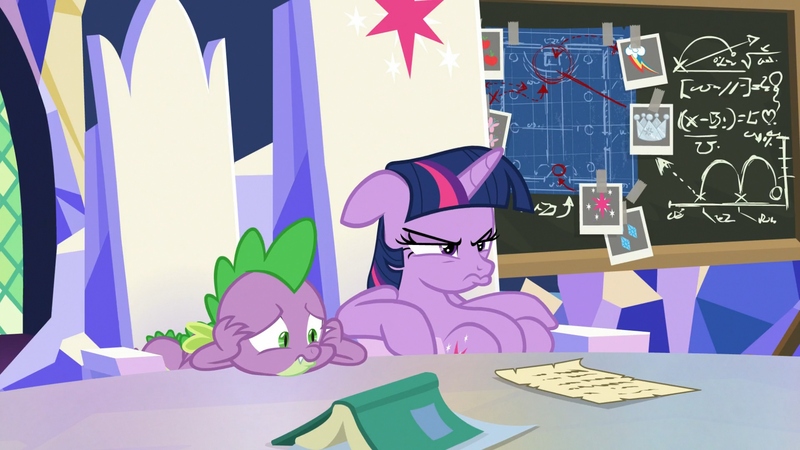 • I think Starlight is effectively headmistress full-time at this point. 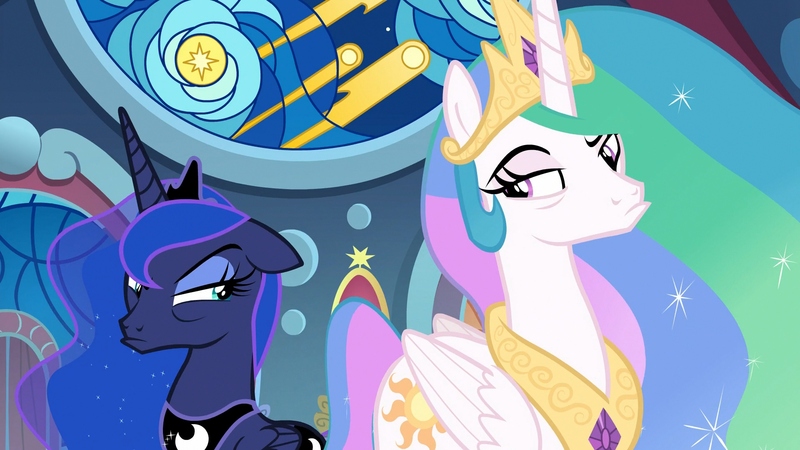 • Ha, Celestia and Luna faces. 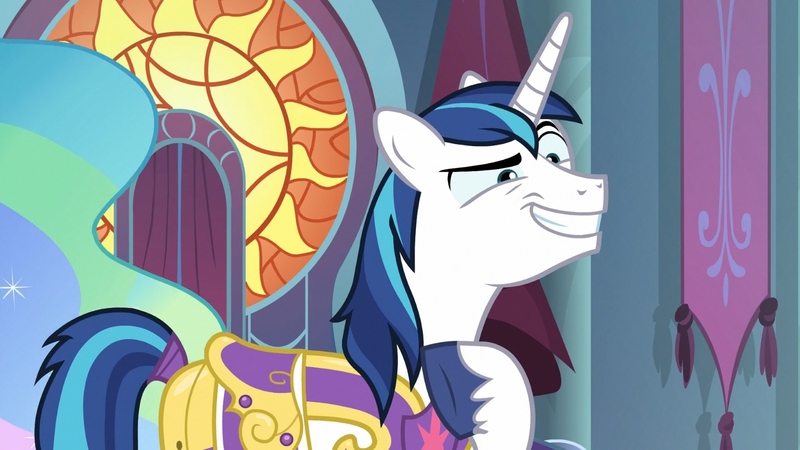 AND SHINING ARMOR FACE. 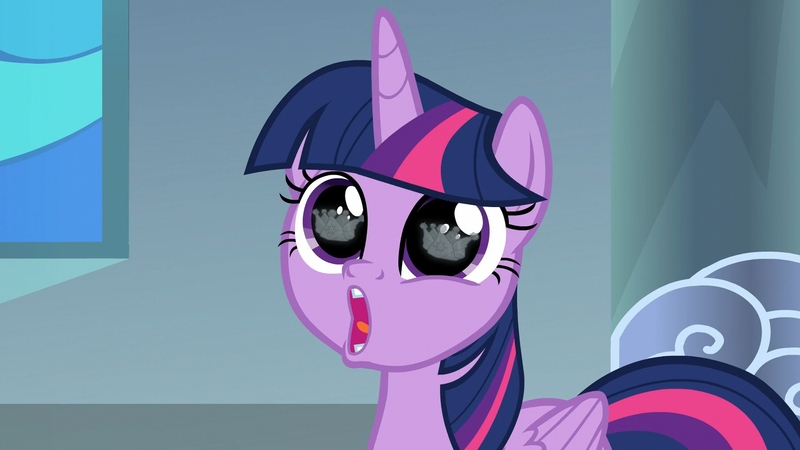 AND TWILIGHT FACE. 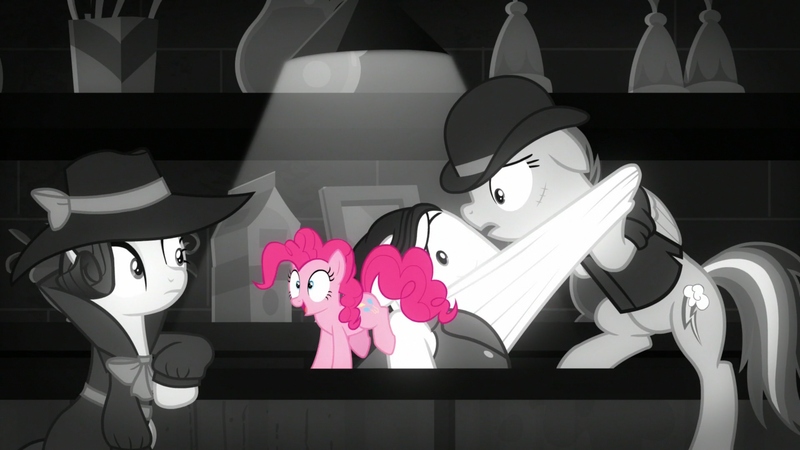 • It IS a heist episode! 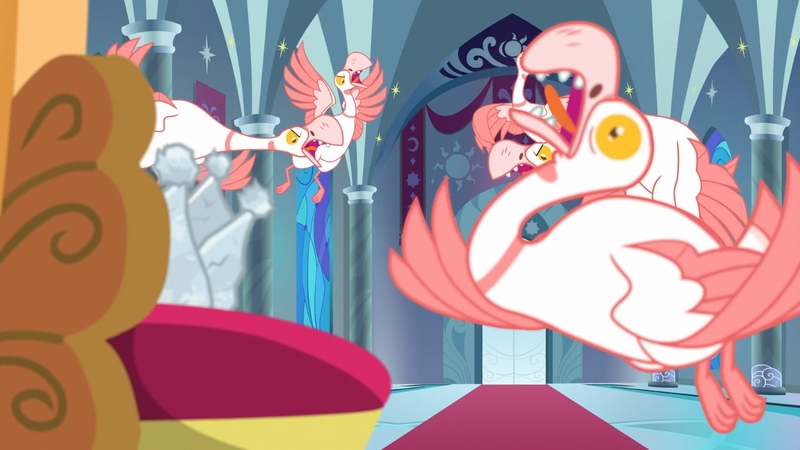 • Even in Equestria, geese are horrible. 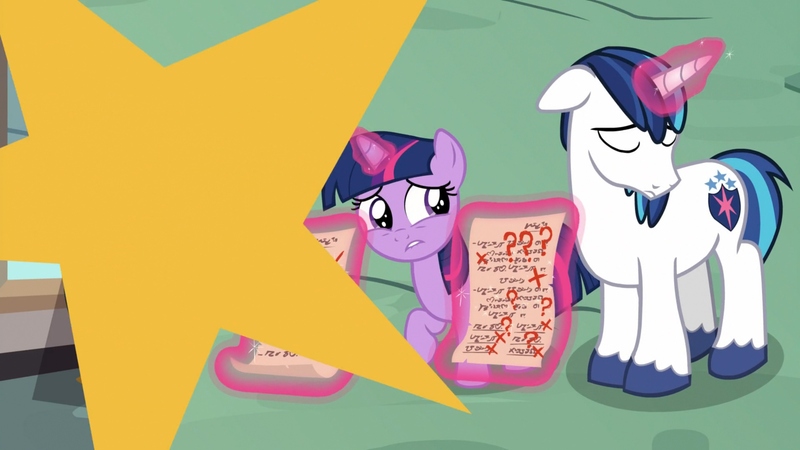 • The VAs should write every episode. Just hand the whole show over to them. Do it now. • Ha, AJ was Hannah Montana. 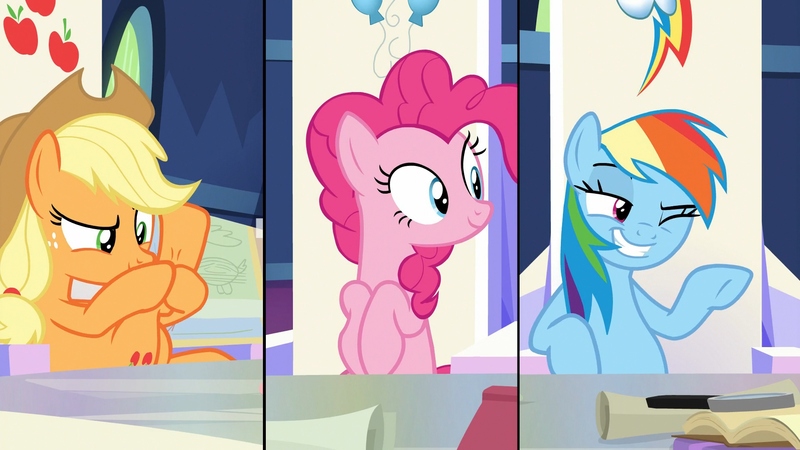 • Pinkie’s helmet filling with spit. 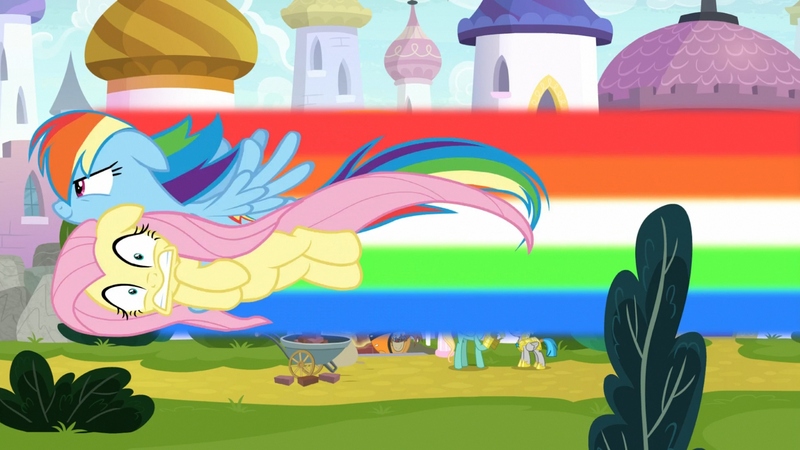 • This episode did the impossible, it made me like Zephyr Breeze. 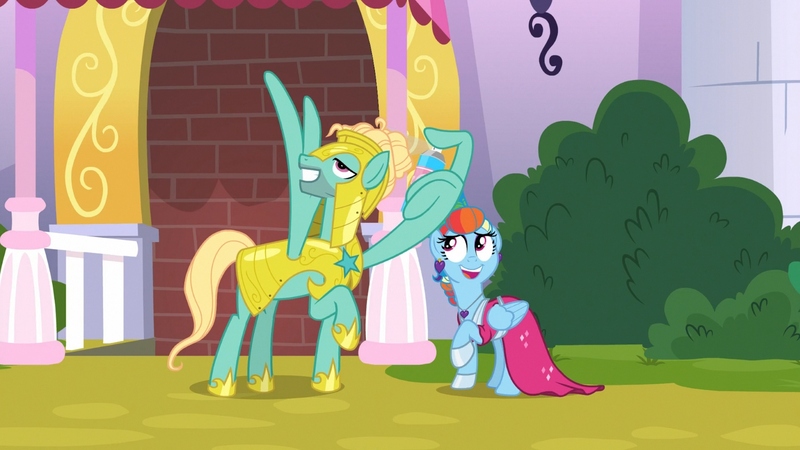 • Aw, nice Fluts and Spike moment. 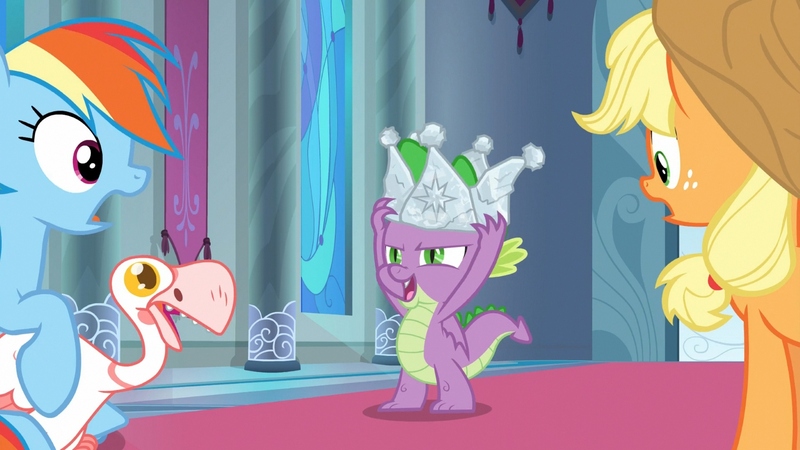 • Spike is friendzoned, but for brothers.